What will become of our trivets? Whether a collection is large or small, serious thought should be given to what will become of our trivets. This is something to discuss now with family members and put in writing. Don’t forget to consider other go-withs that also have value such as irons, reference books and ephemera like postcards or advertising trade cards. If your collection is small, you may want to designate who will get specific items. However, if you have a larger collection, then consider how it could be dispersed and by whom. Many collectors rely on an auction company for this service. The following two examples describe why it’s so important to carefully select your auctioneer. In the past few years I’ve bid in two lifetime collection auctions that were painful to watch. It was obvious from the way the trivets were presented the auction companies didn’t recognize their potential value. In the first auction the trivets were presented in lots. There were no individual photos and no information was provided as to type of metal, dimensions or condition of each trivet. In the second auction, although the trivets were listed and photographed individually, only dimensions were provided. 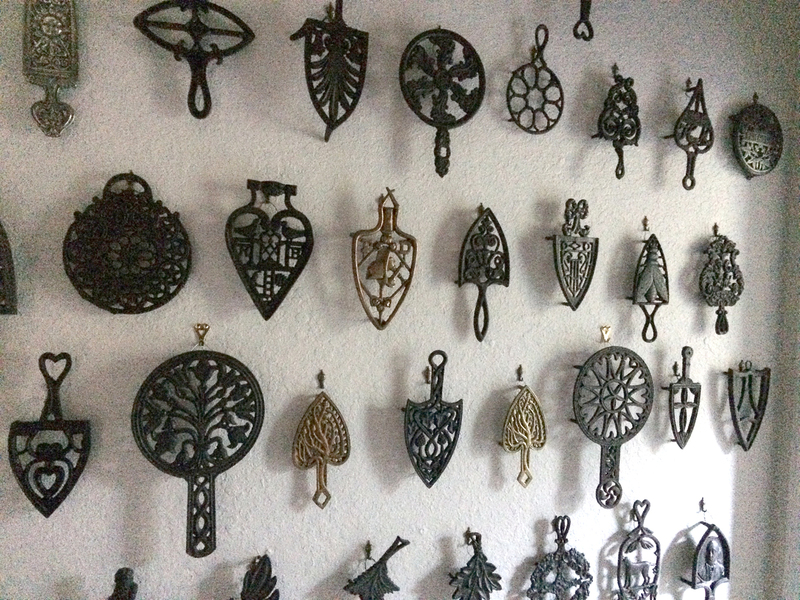 Many of the trivets dated to the early 1800s and several bore a famous moulder’s signature or had other unusual casting features – crucial details that were not recognized or provided. Lesson learned: experience in handling, presenting and selling trivets is crucial. Review a company’s past sale archives, noting how the trivets were listed and the prices realized. And, for maximum visibility, it’s important for your auction to be offered simultaneously on the internet. Other options: you might want to Contact PITCA about auctioning your collection at a future annual convention. Also recommended is Antiques Of A Mechanical Nature, a website run by PITCA members Larry & Carole Meeker of California. A special section of their site is dedicated to the sale of irons, trivets and other laundry day collectibles. Have you considered donating your collection to a museum? PITCA member Maureen Post did just that; read more on her successful journey through the process. One last caution … if you’re considering auctioning or donating, don’t allow anyone to cherry-pick your collection beforehand! The best pieces increase a collection’s overall value and create excitement within the collecting community. 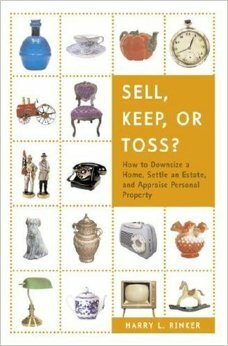 And finally, Harry Rinker’s book Sell, Keep Or Toss? is highly recommended reading. Published in 2007, it’s just as relevant today as it was then. 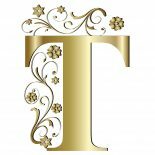 This entry was posted on January 29, 2016 by Lynn Rosack in Auctions and Sales, Collecting Basics and tagged auction, donate.